Children are taught to read using a phonics system developed at St James School in London. Its content reflects the natural and simple life of a child. It contains uplifting passages from the great literary classics of both western and eastern culture. Supplementary readers are also used extensively, predominantly the PM series, Ladybird and National Geographic readers. We provide a thorough grounding in English grammar. Children begin by learning the parts of speech, and the different types of sentence. By the time they reach the senior end of the school, they have an excellent understanding of the laws of the language, with a good grasp of grammatical analysis, syntax, and punctuation. This leads to greater clarity of expression and understanding. This begins with the basic ‘round hand’ in Class One, and by Class Three, the children begin to learn the cursive script. From about the age of eight they are taught how to use a fountain pen. Pupils are encouraged to enjoy the beauty and proportion of letters well-formed, and to write with fluency. High standards of presentation are encouraged through all year groups. All year groups take part in regular spelling lessons. 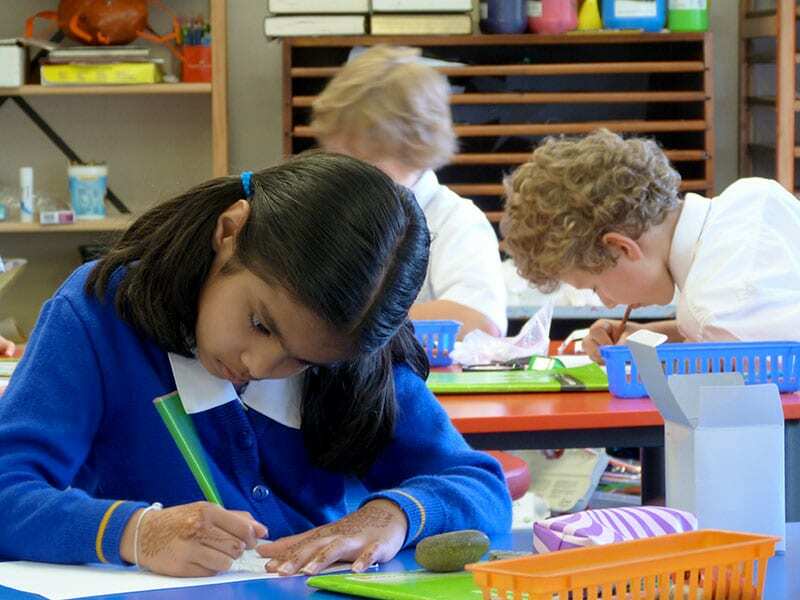 Years 2-6 are cross grouped by ability using the SRA spelling mastery scheme which develops students’ spelling skills through the combination of three interwoven approaches – phonemic, whole-word and morphographic – with emphasis on repetition, aural and oral exercises and games, dictation, written exercises using words in context and regular reviews. Creative writing is taught systematically. Learning to express ideas and observations in writing begins with simple sentences, develops into fuller accounts and matures over the years with the support of grammar and the inspiration of classical and good quality literature. From the earliest age children hear Shakespeare, myths and legends and stories from the Bible and other traditions. This greatly enriches their use and understanding of language. Mathematics forms the basis of all scientific knowledge and trains the mind to operate clearly and systematically. Our students begin learning their multiplication tables in Class 1 and take to them easily. The traditional four rules of calculation are taught in a systematic and lively way. The emphasis at Ficino School is on delight in the magic of numbers and the development of a strong base in numeracy. The Cambridge curriculum is followed for all Year groups in the school. Extension students are taught in ability groups within each class and extension mathematics classes are provided regularly for those who are mastering their year group’s curriculum. An important part of the school’s mathematics programme is the study of Geometry. The curriculum has been developed especially for the school and aids the student’s appreciation of accuracy, proportion and beauty. For Years 1-4 our nature study programme is designed to encourage observation and also put back into science a sense of wonder and awe. It begins simply with the senses and the elements and then develops into study of plants, animals and the harmony of the universe. A very practical approach is taken and there are frequent outings to engage with nature and the man-made world. From Year 5 onward the Cambridge curriculum is followed. Ficino School’s unique history, myth and culture programme has two main goals, firstly, to draw the students’ attention to the finest aspects of humanity, and secondly to teach them how to clarify their own values and make informed judgements. Through exploration of the diverse cultures of the world, their social histories, arts, myths and legends, our students learn to develop the knowledge and skills necessary to participate in both local and global societies as informed, confident and responsible citizens. In doing so they will discover how individuals, communities, kingdoms and nations influenced large populations by the implementation of creative endeavours, roles, responsibilities, rules and laws. 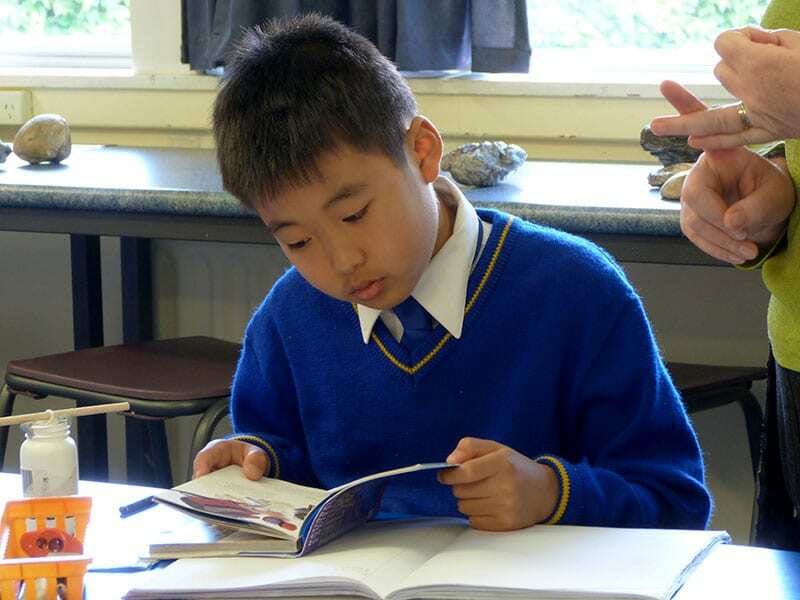 Our senior students (Years 7-8) study geography, including topics such as weathering and erosion, river systems, world biomes, population and settlement, natural hazards, tourism, mapping skills and LECD (less developed) and MECD (more developed) countries. This is one of the oldest classical languages, and a specialty of our school. It has a wonderful system of sound and grammar, which gives the child an excellent base for the study of any language. Children love its order and beauty, and through its sound develop clear enunciation of English. They become articulate and confident speakers. 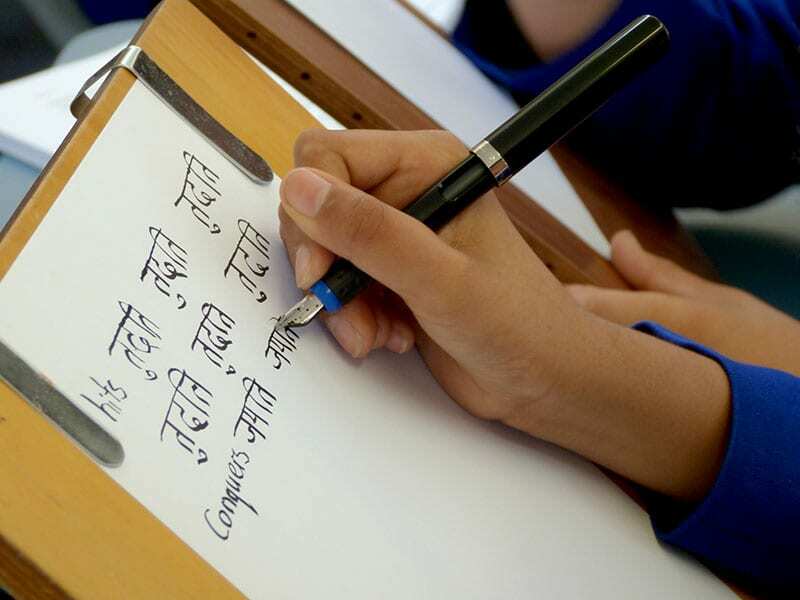 Practice at the beginning is oral, with the written Sanskrit script being introduced normally in Year 2. From then on students begin to translate and formulate their own sentences and explore the extensive and rich Sanskrit literature. In addition to Sanskrit, children also have the option to study French, lead by a specialist French teacher (after school).